Tattoos are a popular form of self-expression. 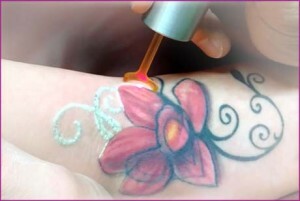 But according to a recent survey by Syneron Candela, nearly 7 million adults nationwide have unwanted ink. Tattoo removal has historically been a lengthy and painful process, but the new PicoWay laser is changing that. The PicoWay pulses, or hits the skin, at a picosecond, which is one trillionth of a second. Dermatologist Dr. Andrew Menkes told California Life the advantage of such a short pulse is that it doesn’t generate any heat, so there’s little chance of scarring and it heals very quickly. More importantly, Dr. Menkes said, the PicoWay laser gets results. For much more on the PicoWay and to hear from a patient, be sure to watch our story below!